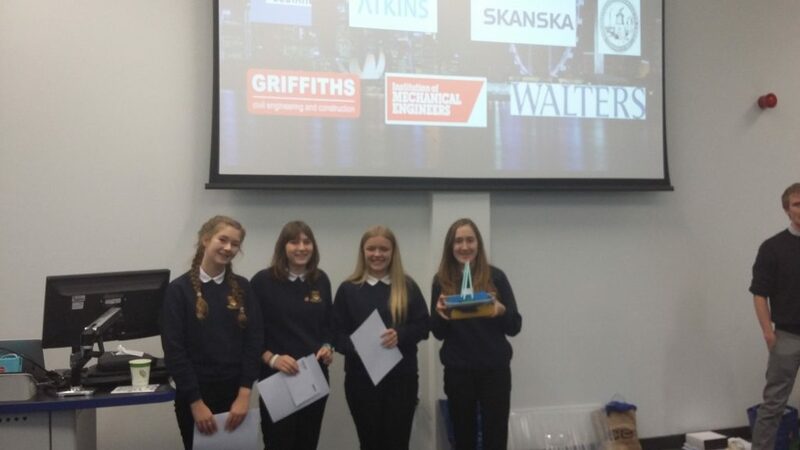 Congratulations to Year 9 pupils Catrin Daniels, Charlotte Beynon, Kirsty Coombes and Sophie Giddings who made up the winning team at the Engineering Challenge event organised by the Institute of Chartered Engineers that was held recently at Swansea University. The team had to design a support structure for a river bridge that was cost effective, efficient and able to withstand floods, storms and tides. 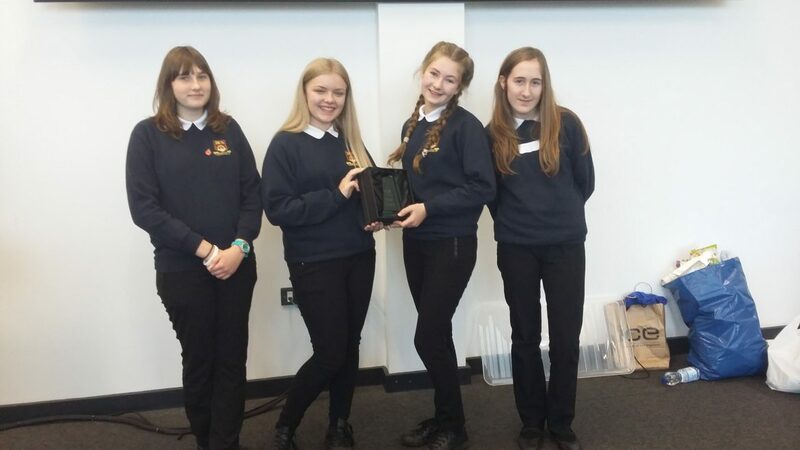 The winning team are pictured below with their design and their trophy. As well as receiving a trophy for beating the other fifteen teams, the girls also received certificates and £15 Amazon vouchers. The day was rounded off with a tour of the Swansea University Engineering Department.